Although a relative newcomer to the ranks of fine watchmaking, the Zeitwinkel watch manufactory is one of contemporary Swiss watchmaking’s more unusual companies. 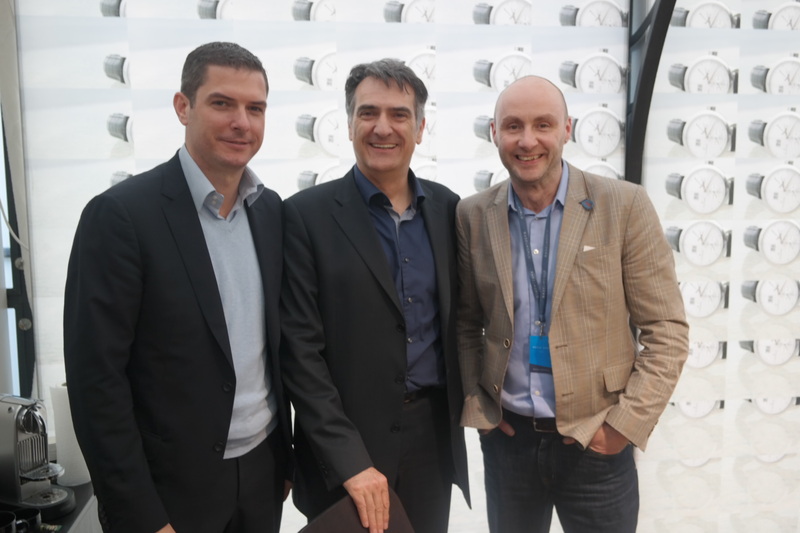 Established in 2006 by friends Ivica Maksimovic (Maks) and Peter Nikolaus, their company’s name is derived from a term used to describe exact local time, and it could be argued that the vision they shared for the positioning of their brand would take them on the road with the greatest challenges, but ultimately a watch company with strong values and already a reputation for very special timepieces. So why is Zeitwinkel any different to the dozens of other new and bright-eyed watch companies to have come into being in the past twenty years? Well, for a young and emerging watch company the emphasis quickly comes down to generating revenue, and the common course of action for most is to outsource components rather than burdening themselves with the incomparable expense of manufacturing their own. 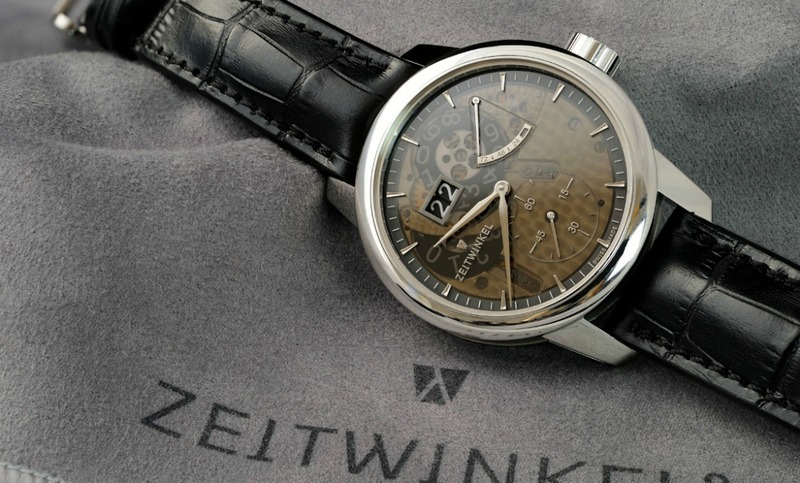 Zeitwinkel’s owners chose to do it the hard way, and not just to make life hard for themselves either. A gradual slippage in what was actually required from a watch company in order to place the respected words “Swiss Made” on their watches meant that those two words could be stretched to the very limit, with many parts imported, but assembled in Switzerland to satisfy the leaky “Swiss Made” criteria. 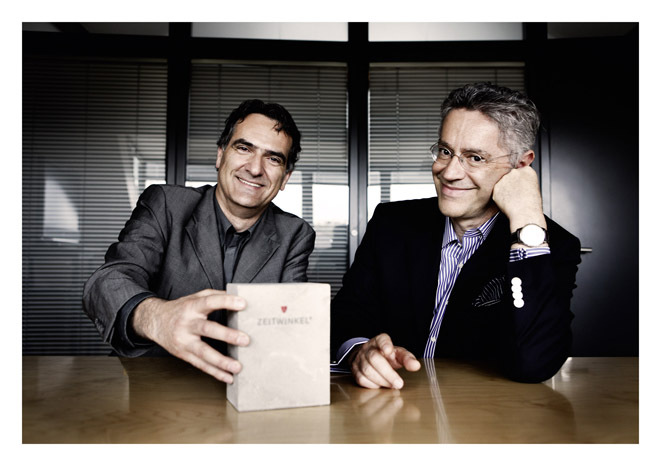 Maks and Nikolaus always believed passionately that those words should only symbolise something which is wholly Swiss, and so when those words appeared on every Zeitwinkel watch, it was in the most literal sense of their meaning, and more than that; because they manufacture their own movements almost exclusively in-house, or through collaboration with local specialists in their Saint Imier home in the Jura Valley. A gestation of four years finally bore Zeitwinkel’s first watch collections, and their classic understated styling, combined with the painstakingly handmade manufacture movements, quickly found favour among the more diligent of critics, and more importantly a niche market of collectors, appreciative of the meticulous levels of craftsmanship and the quality of the finishing throughout. Using labour-intensive production techniques in every aspect of the movement, including hand engraved German silver bridges and plates with contrasting brushed and polished surfaces, Côtes de Genève and perlage decoration, each Zeitwinkel watch is unique and the result of weeks of skilled artisan creativity. Where a great many brands have got into a race to regularly update their collections, with subtle but costly tweaks and detail modifications, the Zeitwinkel approach defies that convention with a 39mm Midsize and 42.5mm Classic collections which are timeless and elegant in their original design, and so they’re not much given to change simply for change’s sake. Classic and distinctive styling with signature cues such as the pronounced angular lugs and beautifully proportioned clean and functional dials, Zeitwinkel capture the essence of watchmaking. 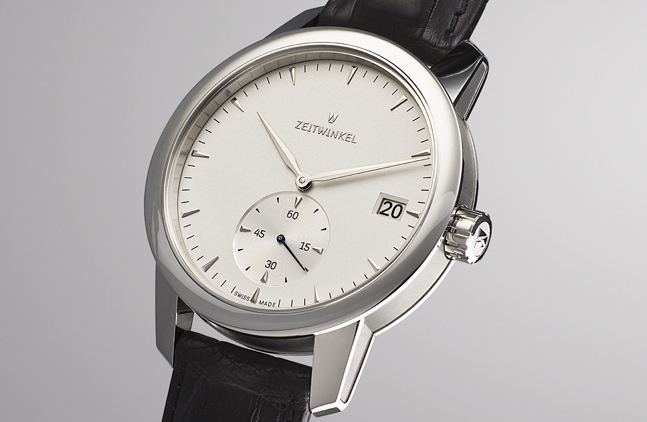 From the time only two-hand 312° base model, each collection is a progressive evolution in terms of functionality, graduating through the three-hand with date 032° the addition of small seconds with date of the 181° and the flagship Zeitwinkel 273° which features small seconds, large date and power reserve. The stunning 273° Saphir Fumé reveals the intricacies of her Zeitwinkel manufacture ZW103 self-winding movement through a smoky sapphire dial, is a fitting celebration of Zeitwinkel’s achievement as a very much stand-alone independent watch company. 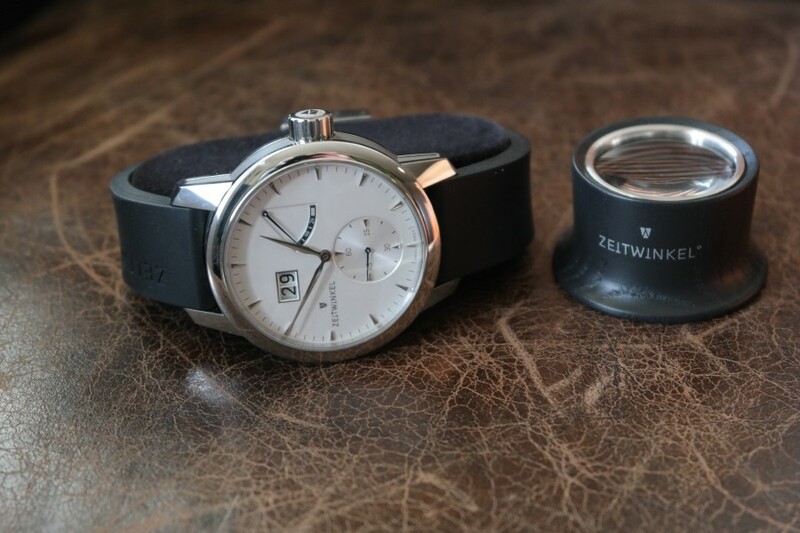 In many ways, Zeitwinkel are a watch company for the purist. From their ingrained philosophy for preserving the standards that the words “Swiss Made” mean to them, their labour intensive hand manufacturing process and the sober, reserved presence of the timepieces, from their atelier nestled amid the rolling landscape of the Jura Valley, Zeitwinkel are the embodiment of the textbook image of how traditional Swiss watchmaking was once done before the age of low-cost, mass-produced, off-the-shelf movements, cases, dials and all other components which while enabling many small brands to survive and prosper, also serve to limit creativity and thereby the curiosity of the collector. Little wonder then that Zeitwinkel know that they’re not making watches for the masses, but instead, take their pleasure from creating special works of horological craftsmanship for the discerning and appreciative few.